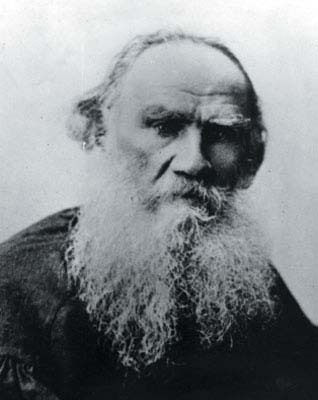 Despite high praise of Leo Tolstoy's works, it is impossible to remove his excommunication from the Orthodox Church today, a hundred years after his death, as it was Tolstoy who excommunicated himself, executive secretary of the Patriarchal Council for Culture Archimandrite Tikhon (Shevkunov) believes. Responding with Patriarch Kirill's blessing to the Russian Book Union president Sergey Stepashin, Father Tikhon reminded everyone that the Holy Synod, by its decision of February 20, 1901, to excommunicate Tolstoy "only confirmed the already accomplished fact - Count Tolstoy excommunicated himself from the Church, fully broke with it and he didn't deny it, but even stressed when he had a good opportunity to do it." When Tolstoy was 27 he had an idea of creating a new faith and his diaries of that period prove it, the priest reminds us. When he grew old the writer felt he was close to his aim, created a small sect of his followers, and wrote The Gospel of Tolstoy with the Russian Orthodox Church becoming the main object of his attacks. "His words and his deeds directed against it were truly out there, from an Orthodox mindset. Moreover, Tolstoy's work in the last decades of his life was unfortunately destructive for Russia - the country he loved so much. It is not by chance that the Bolshevist leader (Lenin) highly approved of this branch in Tolstoy's work and called the novelist "a mirror of Russian revolution," Father Tikhon noted in his letter published by the Rossijskaya Gazeta on Thursday. Fr. Tikhon stresses that several generations of Orthodox readers in Russia and abroad highly praise Tolstoy's writings, "however, as the writer did not reconcile with the Church, (Tolstoy did not publicly deny his tragic spiritual delusions) excommunication, by which he excommunicated himself from the Church, cannot be removed" and it means that "canonically it is impossible for the Church to pray for him." "Nevertheless the compassionate heart of any Christian who reads the great writer's fiction can't be closed to sincere humble prayer for his soul," the priest sums up.